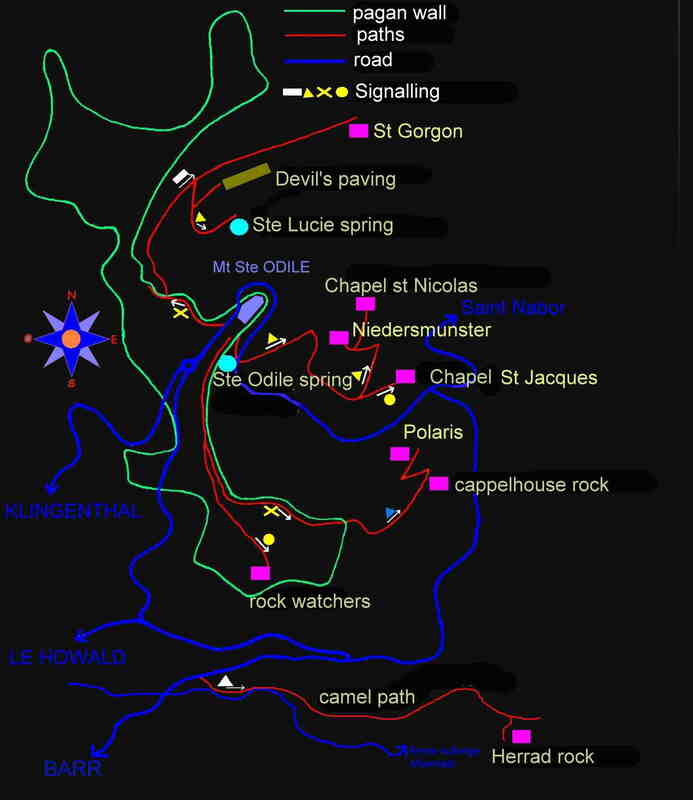 On the Mountain Sainte Odile, the rambler have a lot of place to visite full of curiosities and mystéries : rocks, springs, ruins... Each place is a rendez-vous with the rich history of the mountain. The very good signalling of the club vosgien allow the visite of all these places without problem. Following :the liste of many of these places.